REFRIGERATOR WHIRLPOOL WRF555SDHV01 "had to adjust the legs they werent adjusted properly ,adjusted the legs the way customer wanted ." REFRIGERATOR WHIRLPOOL WRS588FIHZ00 explained about the vent uner the diffuser and to put on ziplock ot tapper ware. WASHER WHIRLPOOL WTW4616FW2 Error code f8 e1 long fill. Found drain hose sealed and extended about 50ft to front lawn. Calibrated the washer and performed manual test. REFRIGERATOR WHIRLPOOL n/a Ice maker fill cup and fill tube frozen. Removed all ice and reinstalled the ice maker assembly. WASHER WHIRLPOOL CAE2745FQ0 Checked the washer found unit unplugged and no error codes present. Performed manual test all functions passed. Recalibrated the washer. M/W OTR KITCHENAID KHMC1857BSS1 "Recall still not working. Replaced the touch pad and main control and both interlock switches. 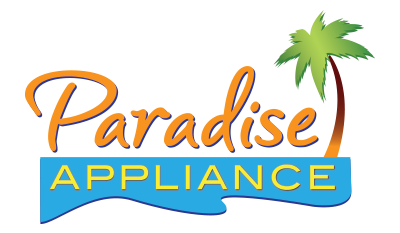 Microwave oven operation restored; used 2 W10727360 (SWITCH), and 1 WP8206419 (INTERLOCK) from stock"
DRYER WHIRLPOOL WGD5000DW2 "replace repair kit and door switch run test ok request completed; ordrng 1 W10861225 (handle direct to customer), used 1 WP3406107 (SWITCH-DOR) from stock"
WASHER WHIRLPOOL WTW7000DW0 Replaced the lid lock assy and calibrated the washer. REFRIGERATOR WHIRLPOOL WRX735SDBM02 Freezing in the refrigerator section and light not working from left door. Found ice chute seal fell out of groove causing freezing air from ice room to freeze foods in refrigerator section . added pad to left refrigerator door liner and freed pantry temperature slide. WASHER WHIRLPOOL WFW9151YW00 Replaced the door bellow and tested operation. WASHER MAYTAG MVWC565FW1 Main control dead no light lit on main board. Replaced the main control tested and calibrated the washer. DRYER WHIRLPOOL MGDB800VQ0 "replaced idler pulley wheel, ran thru test working ok.; used 1 W10837240 (BRACKET) from stock"
WASHER MAYTAG MVWX655DW0 replaced motor and recalibrated. tested for correct operation through automatic test cycle.washer working ok.
REFRIGERATOR MAYTAG MRT118FFFH01 "Reoccurent problem, freezing in the refrigerator compartment, called teck line said reposition thermistor.replaced same parts, customer wants unit replaced..."
WASHER MAYTAG MVWX655DW0 "replaced bad gearcase. but found bad motor, will not turn freely motor shaft moves up & down. needs new motor. ; ordrng 1 W11283592 (motor)"
WASHER WHIRLPOOL WFW9351YW0 "replaced drain pump, valve & door boot, ran test working ok."
REFRIGERATOR WHIRLPOOL WRF757SDEM01 replaced refer evap motor and tested for correct operation. WASHER WHIRLPOOL WFW75HEFW0 "replaced faulty main cntrl board with pressure sensor errors, causing not start, ran test working ok."
REFRIGERATOR MAYTAG MRT118FFFH01 "Still freezing in the refigerator compartment, called tech line, no pointer for this model, ordering control box and thermistor..; ordrng 1 w11223735 (control box) and 1 w10838965 (thermistor) and 1 w10637058 (cover)"
RANGE WHIRLPOOL WFG510S0HS0 range had an explosion in oven. Inner door glass is shattered oven cavity and seal covered in soot. Range was moved to the garage with no gas or electricity to determine cause. Called the safety line they will make contact with the customer. WASHER MAYTAG MVWX655DW1 "f0-e2,,,f8-e1. no hot water to unit... recalibrated and ran manual test cycles. washer is spinning ok. will leave on tap cold"
REFRIGERATOR WHIRLPOOL WRX735SDHZ00 replaced door switch and tested for correct operation.unit is working ok now. DRYER MAYTAG MGDX655DW2 loose red wire at timer block. repaired and tested for for correct heat operation.